​The North Shore School District is proud to congratulate Blake Mandell and James Mastakouris (pictured) for qualifying for the New York State Championship tournament in public forum debate! They will compete in April 2016 for the title of New York State championships. In addition, bravo to the North Shore High School Debate Team (pictured) who recently made it to the final debate tournament held on Saturday, February 6th, at North Shore School District. 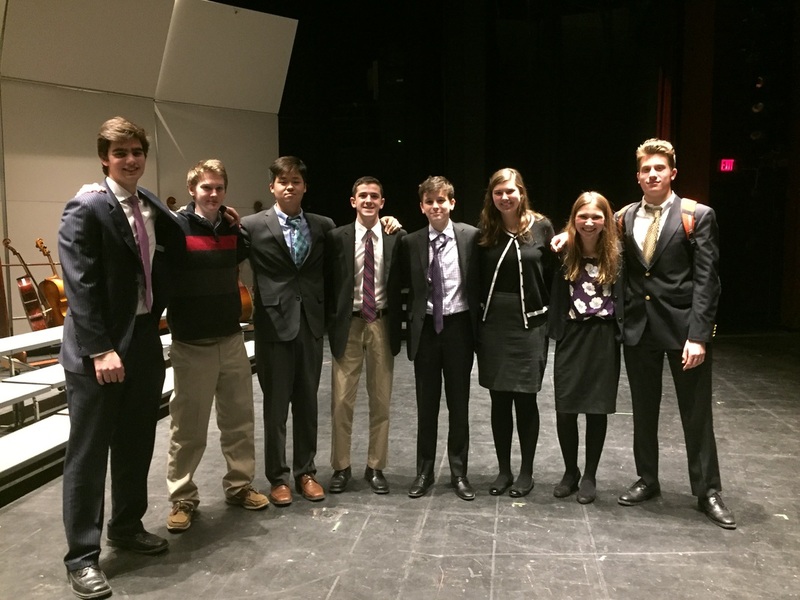 Other schools that competed in this exciting final debating event were Cold Spring Harbor, Chaminade, Roslyn, Jericho, Syosset, and Great Neck South.